UPDATE: I messed this one up – the release isn’t actually out yet, but has been moved up on the schedule due to some problems with the 1.01 version. Thanks for those letting me know in the comments. We'll call it release Friday as we have our third release of the week. MediaPortal, one of the more popular open-source and free HTPC software programs has plans to releas a new versions soon. Earlier in the month (April 4th to be exact), MediaPortal released version 1.01 which included many TV-related features as well as various stability and usability improvements. This week the team is moving up the 1.0.2 release arrived to address several bugs that appeared with 1.0.1. 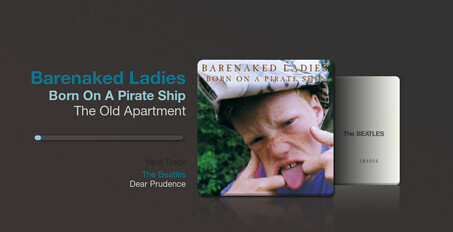 Plex, the popular, Mac-based media center software just released version 0.7.15 this week. Lots of bug fixes as the Plex team works to wind down version 7. Plex, is a fork of the XBMC HTPC software. It's free and very popular with Mac users. What's New With Plex 0.7.8? Ability to Data capture number of users, and basic information about where those users are and basic computer info. Plex App Store - a centralized location for apps, plugins themes etc. It's simple to get your plugins, simply select your add-on and everything gets installed automatically. Fixed significant performance bug related to focus change re-evaluations. This can be over a 2x improvement in speed in many areas that involved just moving around the cursor. As mentioned before, things have been pretty busy behind-the-scenes so GeekTonic posts have been a little slow. I am however planning for the near future when things slow down enough to ramp up the GeekTonic content again and in that planning have been kicking around some ideas for possible future changes. As the most important thing to me with GeekTonic is you the reader I thought I'd get your input on a few things. This first round is mostly to get your feedback and ideas in an open forum of the comments, but I'll be doing a survey or two in the coming weeks to get more specific. 1. Content - I've leaned more and more towards HTPCs in the past six months but still cover other media gadgets such as MP3 players, eBook Readers etc. What do you want to see here? Would you rather we just stick with HTPC talk or continue covering all things media-gadget related? 2. Posting frequency - My ideal rate of articles is about two per day or at least one per day. Is that too much, too little or just right for you? a. Do you listen to podcasts? how often? b. Would you be interested in a GeekTonic podcast? c. If you would be interested in a GeekTonic podcast would you want it to be all HTPC, all SageTV, or all things media-gadget-related? d. Would every other week for a podcast work or do you like weekly or monthly better? 4. Logo - I'm thinking of using the logo below. Let me know if you prefer it over the current logo (the TV at the top of this page). 5. How did you find GeekTonic? Did you discover GeekTonic via google, the most excellent ZatzNotFunny! (some GeekTonic posts are covered there also), one of the HTPC forums I frequent or elsewhere? 6. Any suggestions for changes at GeekTonic? Layout, content, etc. Feel free to comment on any or all of the items listed above. Most of all, I just like to hear what the readers think about GeekTonic as I'm always looking to improve the site. Thanks! Mike Garcen at MissingRemote just posted what looks like one of the most comprehensive looks at the history of Home Theater PCs that I've ever seen. Including screen-shots and a brief overview of all products. The GeekTonic blog has been a little sparse the past two weeks as my time has been stretched so thin I barely have time to even read let alone write about the content you come here for, but this is a must-read for anyone even slightly interested in HTPC's. Okoro Media Systems, maker of high-end HTPCs (Media Center Systems) has announced the Okoro 2009 RK Digital Entertainment Media server. Something to note is that Okoro is offering their new media servers with Vista Media Center, SageTV, or with no HTPC software (install your own) as options. The system is rack-mounted, includes an 80GB SSD drive for the operating system, up to 32 Terabytes of storage, BluRay optical and 6GB of RAM. Add to that impressive lineup of features RS-232 support, the capability of multi-zone audio, Russound or NuVo distributed music systems and UMPC or MID control and you can see this thing comes loaded. This definitely is a high-end system and targeted at the custom installer - not the typical enthusiast. But it is notable that they're including SageTV with SageTV HD Extenders and the Hauppauge HD-PVR as an option. To see pricing, contact the Okoro sales team. Week 16 and 17 of the Spring 2009 TV Season has arrived. An extremely light lineup but there are a few so read on for all of the details. 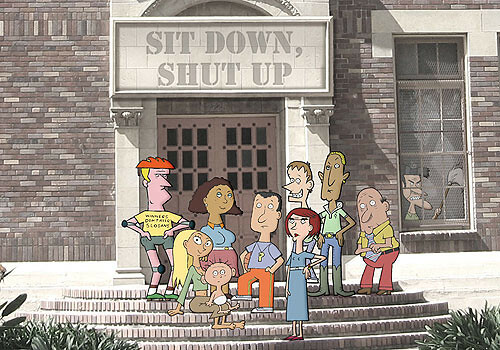 Sit Down, Shut Up (8:30pm on FOX-Avail in HD) series premiere of a new animated series with animated characters displayed against non-animated backgrounds. The series depicts the lives and quirks of nine staffers at a high school in a small fishing town. In Plain Sight (10pm on USA - Avail in HD) Season 2 of the show that follows the story of a Federal Marshal with the Witness Protection program who must hide her high-risk, high-impact job from her family. That’s it for this week. This should be it before the Summer TV Premiere List that should be ready next week.